Hello friends of tweed! How about that weather this week? After what seemed like a lifetime of 90 degree days and hazy skies, the rain we’ve had this week has put many people in the mood for Tweed. And thankfully, there’s a couple rides in Washington State coming up! Check in begins at 10 am, and we tally ho 11 am. 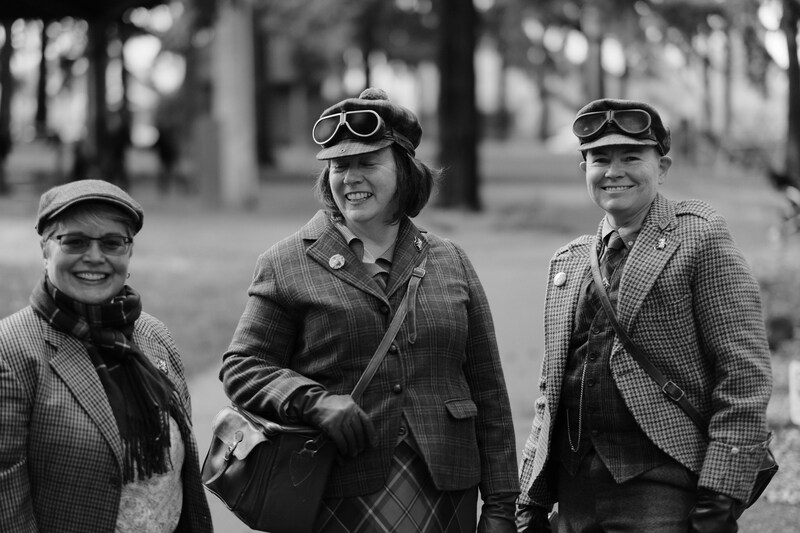 The Ballard Historical Society is proud to present the inaugural Ballard Tweed Ride taking place Saturday, October 6, 2018. We’ll be busting out our bikes and best vintage tweeds for a lovely fall ride from the Ballard Bell Tower to Golden Gardens. We’ll gather for a photo together at the tower starting about 10:15am. Please fill out a hold harmless agreement and pack a cup and saucer. Promptly at 10:30, we’ll depart on a leisurely bike ride to the beautiful shores at Golden Gardens. There we’ll enjoy a nice tea party & take in the sea breeze. After a spell, we’ll meander back into downtown Ballard and an optional brunch at Hattie’s Hat.